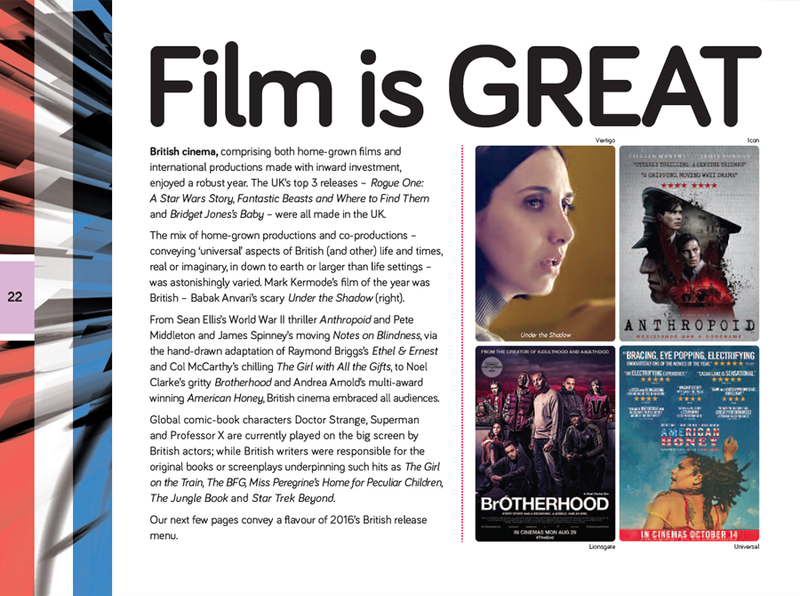 This introduction to film viewing in 2016 focuses on a number of key points – box office, attendances and the types of film released. Reading this introduction what would you say are the positive aspects of 2016 for the film industry? Bear in mind that during 2016 900 films were released. 900 films were released in 2016. Looking at the first chart – Market polarization – you will see that the top 20 films accounted for nearly 50% of the overall box office for 2016. So what happened to the other 880? 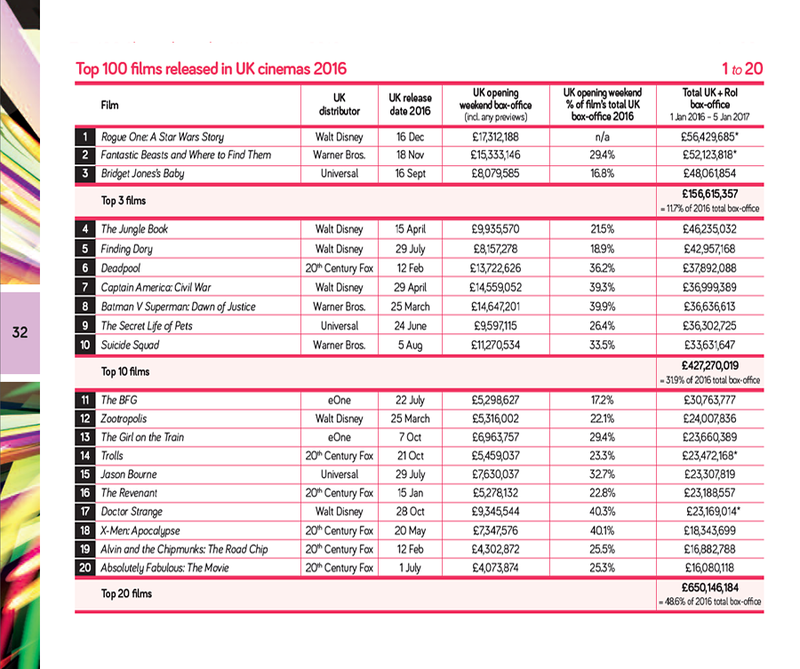 One key point made is that "UK cinema box-office has risen +63%, admissions have dipped by 4.3%, while the number of titles released into the market by distributors has soared +228%." 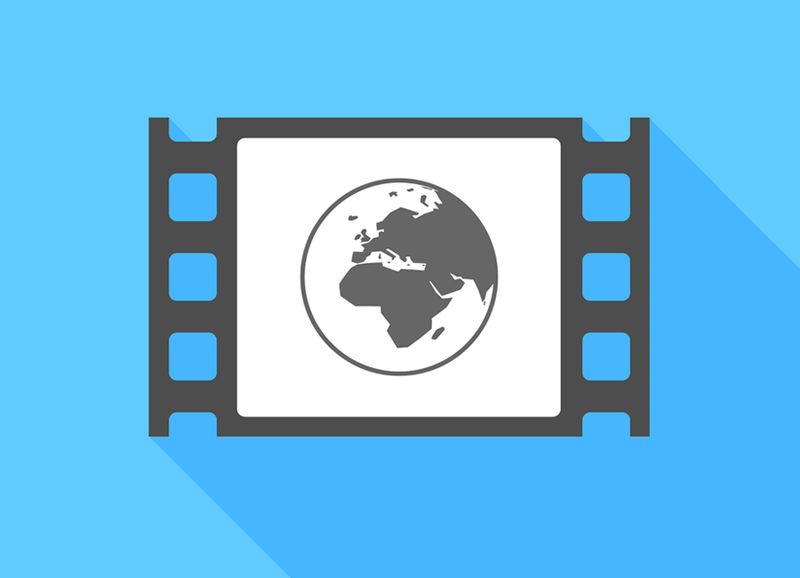 With so many more films being released what do you think are the key challenges facing a film distributor who wants to get their film into the marketplace (cinemas)? Look carefully at the information given in the chart “Market challenges”. You will see that nearly a third of the films released last year made less than £50,000 at the box office. Given that the average cinema ticket price is £7.00 (approx.) work out how many people might have seen any one film in the lower end of the box office chart. What sort of films do you think might be found in this lower percentile? Visit www.boxofficemojo.com to discover the films that had the lowest box office last year. Find out what you can about them and try to come to some conclusions as to why this films might not have performed as well as others. For us as members of the cinema audience what are the issues that face us when we come to choosing what films we want to see? Looking at the overview of the year, what challenges do you think face independent films compared to films released by the major film studios? Look at the top 25 films – can you see anything that these films have in common? You might need to research some of the titles. Also, look at when the films were released. Do any patterns emerge? How many of the top 100 films are either part of a franchise or series of films? These top 100 films deliver 85% of the annual box office in 2016. Again, one must ask, what of the other 800 films? Open the list of the top 100 films. 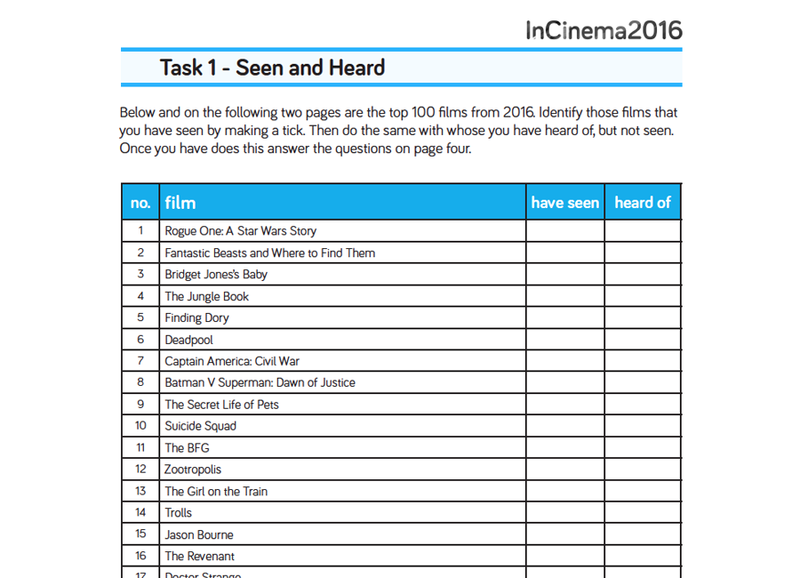 After you have printed it, identify those films that you have seen by making a tick. Then do the same with whose you have heard of, but not seen. Compare your results with those of others in your class. 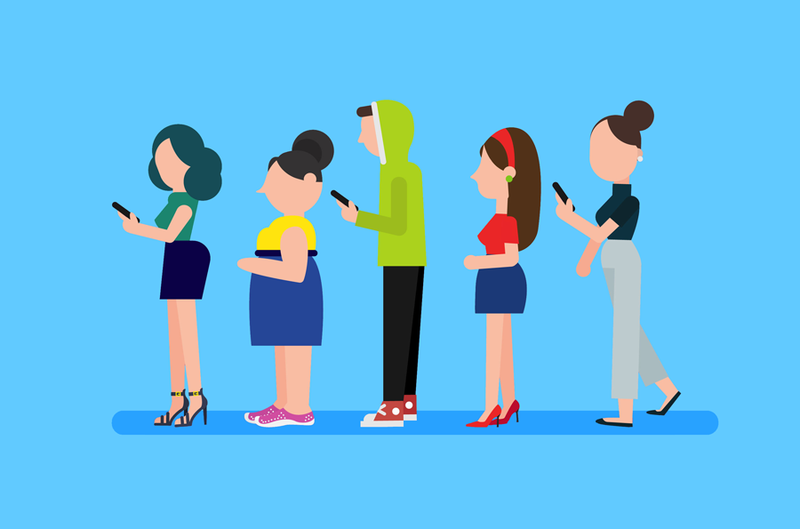 Are you results similar to others? If this is the case, why do you think this is? Ask some of your teachers/lecturers to do the same exercise. Are the results similar? Finally ask your parents/guardians to do the same. Compare these results with your own results. How far down the list of the top 100 were you identifying films that you had seen or heard of? How does this compare to other age groups? How important is the opening weekend for a film? In general it is the weekend when a film will earn the most money (two-thirds of cinemas’ box-office takings are collected from Friday to Sunday). If box office is poor then the film will never recover and will be taken out of cinemas. If it is good, then the chances are that the film will generate positive word of mouth, thus attracting more audiences in the following weeks, and the film is more likely to be kept on screens. Look at the top 100 films. How many took more than 40% of their revenue in the opening weekend? Again, what do these films have in common? When you analysed the top 100 films you may already have identified specific genres which are popular with cinema goers. 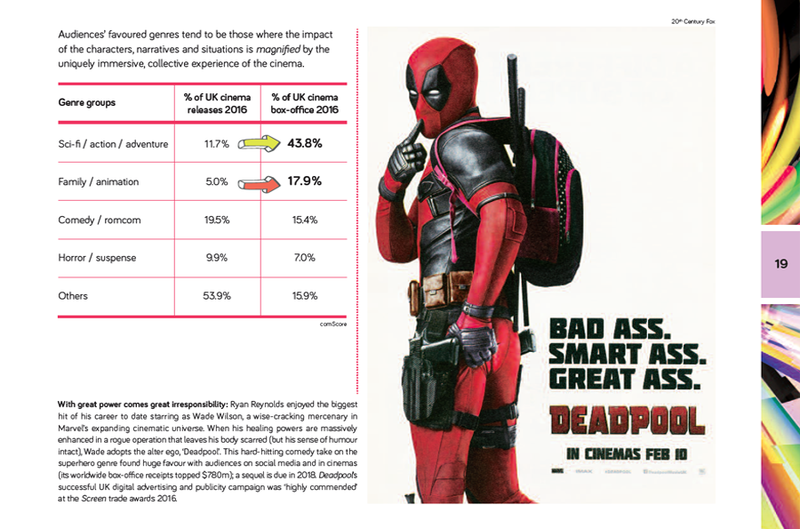 Look at the information given in the document which introduces the performance of different popular genres at the box office. Again, consider when each of the different types of films are released , particularly when it comes to animation. How does this tie in with the potential audience of the film? Why do you think that the superhero genre is so popular at the moment? Now look at the information on various other genres, including comedy and documentary. Taking each genre individually, try to come to some conclusions about which might be the most popular genres at the cinema during 2016. You should consider not only box office figures but also the number of each type of film released. If you were a distributor looking for films to release in 2017, what specific genres do you think might bring you financial success? Look again at the introductory materials on British films. Which specific films are mentioned? How “British” do you think these are? Have you heard of all the films mentioned? How are British films defined here? Simply by their subject matter? Can you find out how these films performed at the box office? What might this tell you about the market for British films? 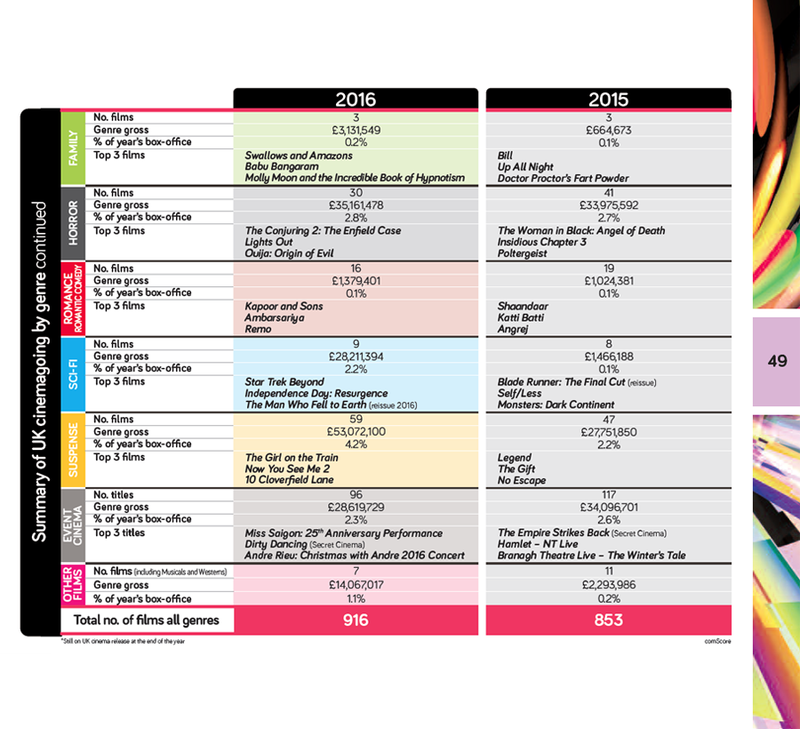 In 2016 230 films passed the BFI cultural test to be classified as British films. Already, in 2017, 21 films have been deemed to pass the cultural test which allows films to claim tax benefits. Which films can you identify as British? How would you define a British film? You might like to follow this link which lists films which have been defined as British over the last few years. How many of these films have you heard of. How many from 2016 appear in the top 100 list? The box office figures show here illustrate the low box office for foreign language films. What reasons are given for such a low performance? What other reasons can you think of as to why the box office for foreign language films is so small? Why might foreign language films find it hard to find space at cinemas? Are there specific cinemas which play this sort of film? Is it the type of cinema that you would normally visit? If not, then why not? Have you seen or heard of any of these films? What do you know about them? How might you have heard about these films? Or why might you not have heard about these films?